what’s up, guys! Welcome to my tutorial for the best import parameters for Lightroom! 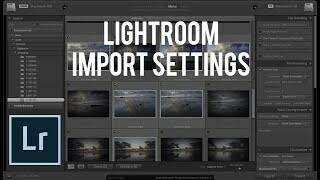 In this video, we are all of the settings in the import section of Lightroom. At the end you will know exactly how to import and have the necessary knowledge to start your own system to do that! Please check it out and enjoy!